After weeks of mounting pressure over a political funds scandal that has tainted his office, Tokyo Gov. Yoichi Masuzoe on Wednesday submitted a letter of resignation to the Tokyo assembly speaker, which takes effect on Tuesday. A gubernatorial election to replace Masuzoe is likely to be held on July 31 or Aug. 7, according to an official at the Tokyo Election Management Committee secretariat. The timing, though, does not portend well for the 2020 Tokyo Olympic Games as an election now means the following governor could assume office right in the middle of the event, which runs from July 24 through Aug. 9 of that year. A governor’s term is set at four years, whereby a new election must take place. Such a situation could cause confusion during the games for the host city. 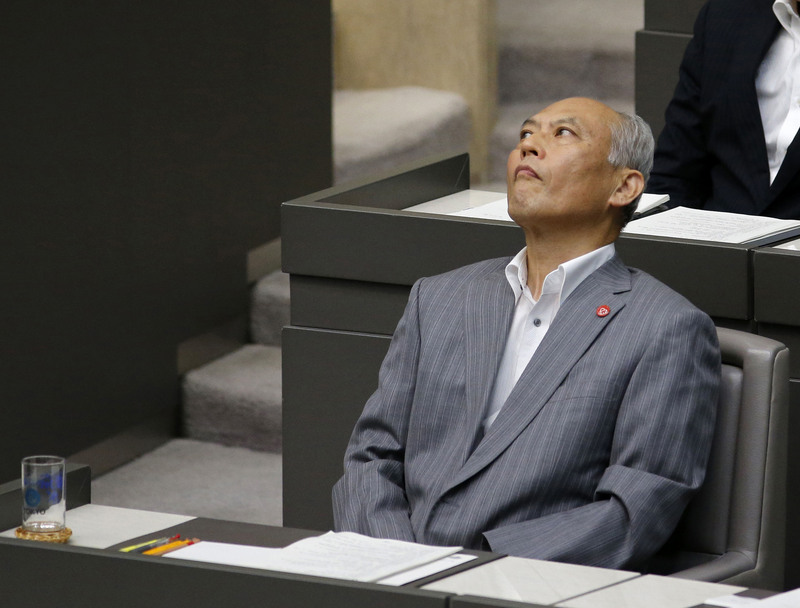 Later in the day, the Tokyo assembly endorsed Masuzoe’s resignation in a plenary session. At its end, the governor was given a chance to deliver a last short speech to the assembly. “What concerned me most was impacts on the Olympic and Paralympic events. I didn’t think it’s appropriate to hold an election ahead of the Rio de Janeiro Olympic games” that take place in August, Masuzoe said. 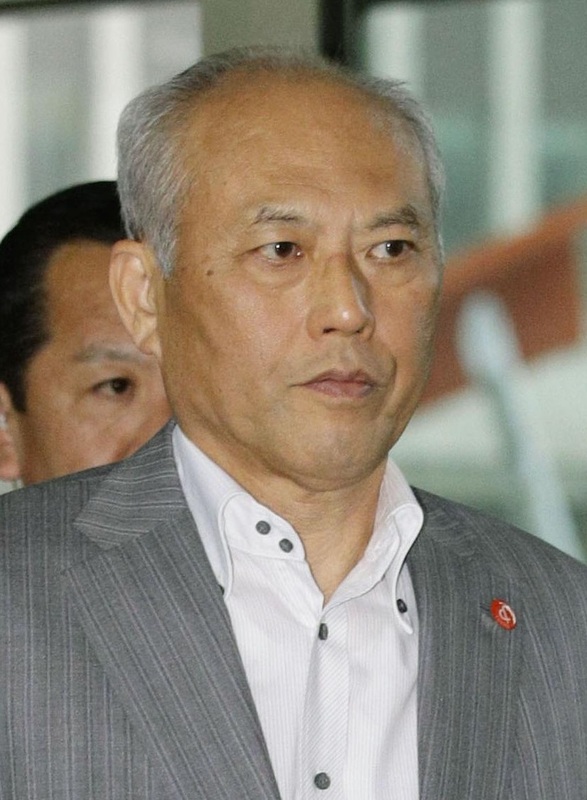 Speaking without visible emotion, Masuzoe also said he has “countless things to regret and search my soul over,” but was clear about the cause of his troubles. “It’s all my lack of discretion,” he said. Later in the day, reporters requested that Masuzoe hold a news conference on his resignation, but the governor refused, saying through metro government officials that he would not attend the last weekly news conference scheduled for Friday either. 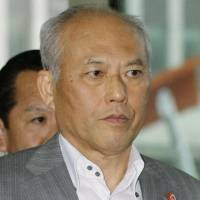 Masuzoe’s resignation is just one in a long line of problems that have plagued the Tokyo Olympic and Paralympic Games, which include the embarrassing cancellation of the original National Stadium construction plans and allegations of plagiarism involving the official Olympic logo design. On Wednesday the International Olympic Committee in Lausanne, Switzerland, told The Japan Times it expects Masuzoe’s departure to have no major impact on preparations. Meanwhile on Wednesday, lawyer Kenji Utsunomiya, former chairman of the Japan Federation of Bar Associations, reportedly said he is considering throwing his hat in the ring to run in the special election. Utsunomiya ran unsuccessfully in the previous 2014 Tokyo race. On the other hand, Shun Sakurai, vice minister of the internal affairs ministry, told reporters that he will never run in the gubernatorial election, even if prompted to do so, according to Kyodo News. Sakurai is well known among the public, partly because he is the father of Sho Sakurai, a member of popular idol group Arashi. Speculation has been rife that the ruling Liberal Democratic Party may ask him to run for the governorship. Masuzoe’s decision came after all the major parliamentary groups, including the ruling Liberal Democratic Party and Komeito, submitted a no-confidence motion against him on Tuesday. The motion was slated for a vote during a plenary session that had been scheduled for Wednesday. But the assembly blocs decided to withdraw the motion after Masuzoe tendered his resignation. The embattled politician had been accused of misappropriating millions of yen in political funds for private use. His lawyers admitted expenses worth ¥4.4 million were used “improperly,” but maintained no illegal conduct was involved. During repeated news conferences, the governor staunchly refused to resign his office, which only fueled the anger of Tokyo voters. During a session of the assembly steering committee on Tuesday, Masuzoe pleaded with committee members not to submit the no-confidence motion, asking for a “moratorium,” at least until the end of the Rio de Janeiro Olympics in August. Masuzoe even shed tears during the session, according to media reports. He had been scheduled to accept the Olympic flag at the closing ceremony of the Rio Olympics as the governor of the host city for the next games. But faced with increasing anger among residents in Tokyo, the assembly turned down Masuzoe’s request, fearing a voter backlash in the July 10 Upper House election and the Tokyo election next year. 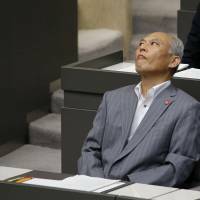 Arinobu Nomura, a Liberal Democratic Party member in the Tokyo assembly, told reporters Wednesday morning that members in the body persuaded Masuzoe to resign before he was forced out in a vote. Masuzoe’s forced resignation appeared to be a fait accompli had he not stepped down. More than three-quarters of the 123 assembly members supported the no-confidence motion, meaning it would have passed. If it had passed, Masuzoe would be required by law to either resign or dissolve the assembly for a snap election. Recent polls showed 70 to 80 percent of Tokyo voters were calling for his immediate resignation. Assembly members opposing the governor would most likely win a majority if a snap election were called, leaving Masuzoe vulnerable to a second no-confidence vote, which, if he lost, would obligate his resignation by law.